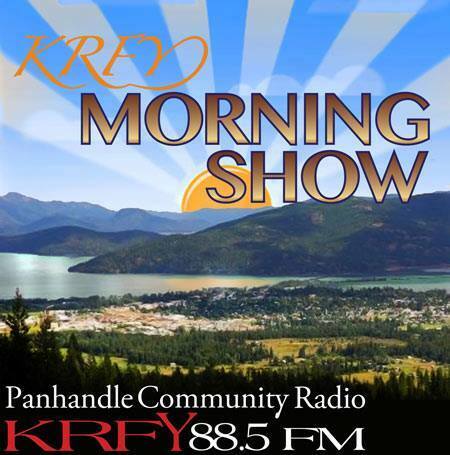 Here’s what’s coming up the week of March 11 – on the Morning Show on 88.5 KRFY. Airtime is 8 a.m. … and if you miss a show, you can hear a recorded podcast of it later in the day, on our Podcasts page on this website. Tuesday, March 12: Join Morning Show hosts Julie Kallemeyn and Phil Hough as they present a recorded interview with students from the University of Utah with survey results on their 7B project.Airtime – 8 a.m.
Wednesday, March 13: Morning Show hosts Suzy Prez and Chris Bessler will visit with local print journalist about the Levy vote results. A second recorded interview with administrators from the Forrest Bird Charter School will also be included. Airtime 8 a.m.
Thursday, March 14: Host Jim Healey will visit with Dyno Wahl, executive director of the Festival at Sandpoint, who will bring festival line-up news and updates. Airtime 8 a.m.